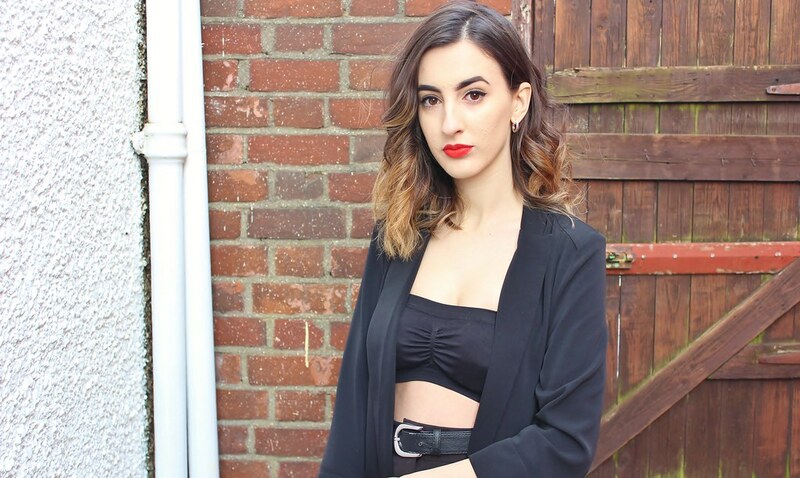 *Cue moody outfit photos alert* I don't know why I look so moody in these photos but trying to crack a smile this day was too much of a mission for me. 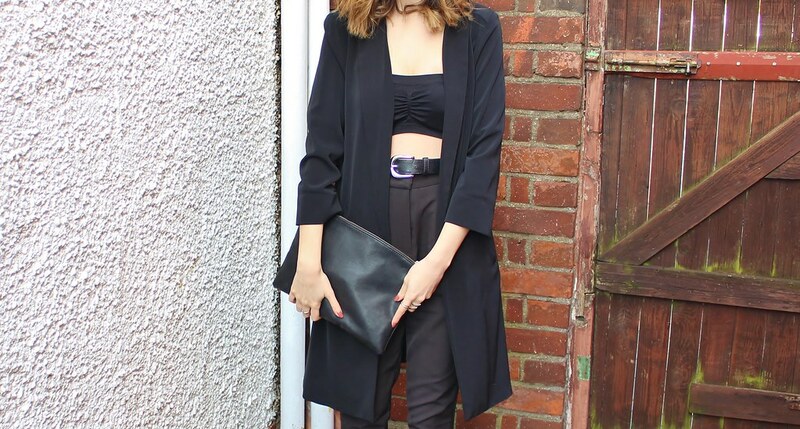 Forgetting that, I've been really into tailoring at the moment including trousers, blazers and duster coats. I think individually and/or together they make an outfit look minimalistic yet really sleek and sophisticated. I have bought quite a few pairs of trousers recently as I think they make a change from wearing jeans constantly and they look a bit more smarter. I feel they can also make an outfit look as if you've spent a lot more time putting it together than you really have. These particular trousers from Missguided I love as they're high-waisted, they aren't too tight but still are a slim fit as I struggle to find a pair of trousers which fit me perfectly on the waist and on the legs. I'm also loving the look of a tailored pair of trousers with a blazer and a crop top so it shows a little bit of skin but in a non-revealing way. Add some silver hardware and you're good to go. 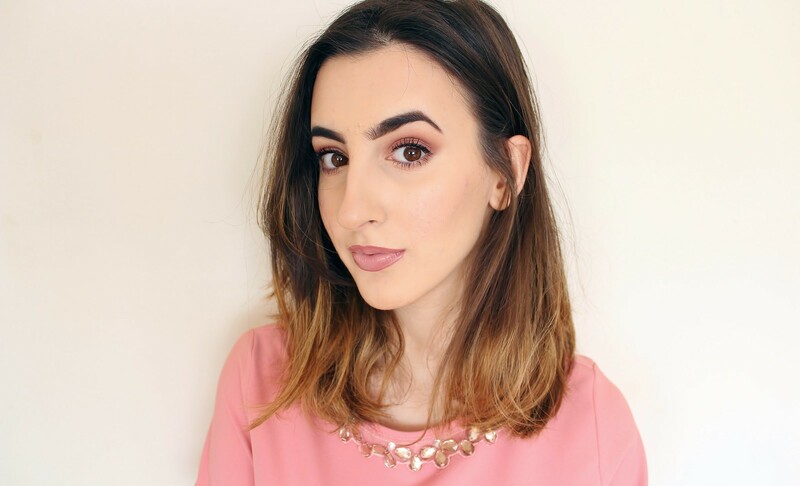 Valentine's Make-Up with, MeMeMe Cosmetics Soft Rose Collection & Giveaway! After my last MeMeMe Cosmetics post, a lot of you were really impressed with the quality of their make-up products and their reasonable prices. The MeMeMe Cosmetics Soft Rose Collection* is a set which includes five of the brand's bestselling products which are the, Beat the Blues Illuminator in Pearly Pink, Shimmer Stack in Pink Zest, Baked Quad Eye-Shadow in Opulent Eyes, Nail Polish in Ambitious and Light Me Up Lipgloss in Illuminate. 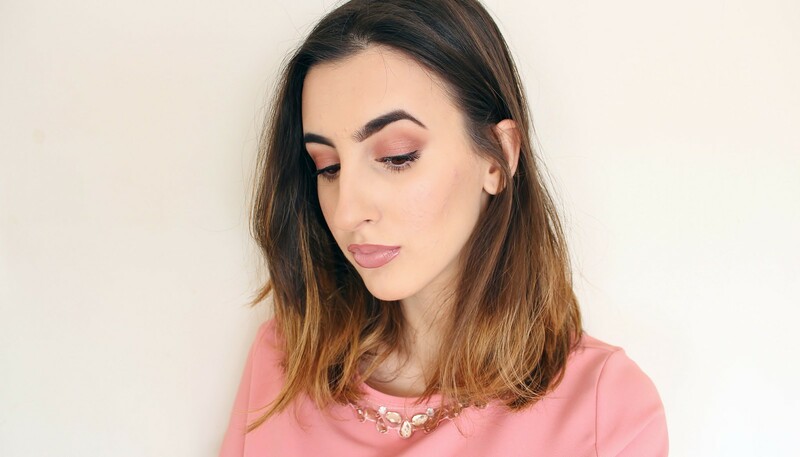 This collection is perfect for Valentine's Day or just for the upcoming Spring months as all the products are in dusty pink, girly, feminine tones which when all used together create a natural Pink make-up look. I have created a look using all the products and I have to say I am really impressed. I started by layering the eye-shadows to create a Bronze-Pink toned eye. This little quad has the perfect colours for a typical neutral eye. I then added some of the, Beat the Blues Illuminator (which looks suspiciously similar to the Benefit Cosmetics, 'High Beam') to the top of my cheekbones to add some highlight. It is good if you want a cheaper alternative to the Benefit, 'High Beam' however, I wouldn't say it's as good! I then added a swish of colour to my cheeks with the Shimmer Stack which has five shades which can be used either on the cheeks or eyes. I used this as a blusher to add colour to my face and it is amazing! It is so super pigmented, a little goes a long way and this would be perfect for pale skinned girls like me. To finish off, I lined my lips with, MAC Cosmetics' 'Soar' lip-liner and then added the Light Me Up Lipgloss which actually has a light in it's wand so this makes it perfect for applying at night or in dark nightclubs - ingenious idea. Now, for the giveaway part. 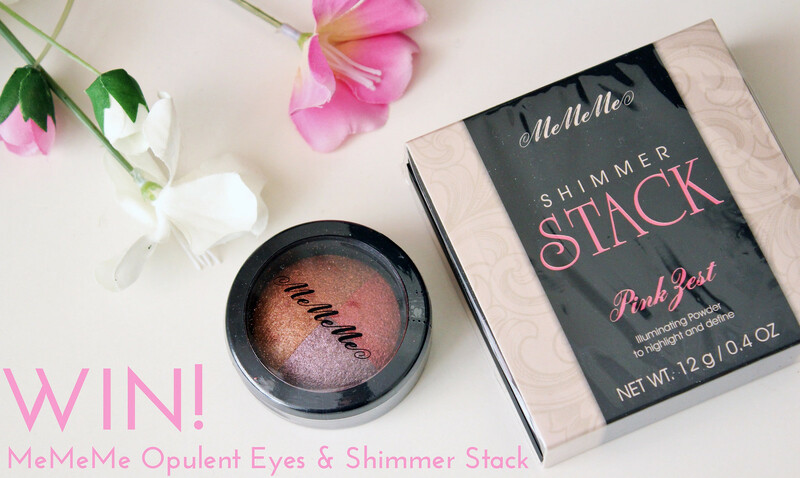 I will be giving away two products from the MeMeMe Soft Rose Collection which are the, Baked Quad Eye-Shadow in Opulent Eyes and the Shimmer Stack in Pink Zest. A few months ago, I was looking into options about updating my prescription glasses as I've had my Rayban's for about four years now and fancied a change. It just so happened that at the time I was contacted by the lovely Rob from, Scarlett of Soho who spoke to me about the brand and the concept they have. 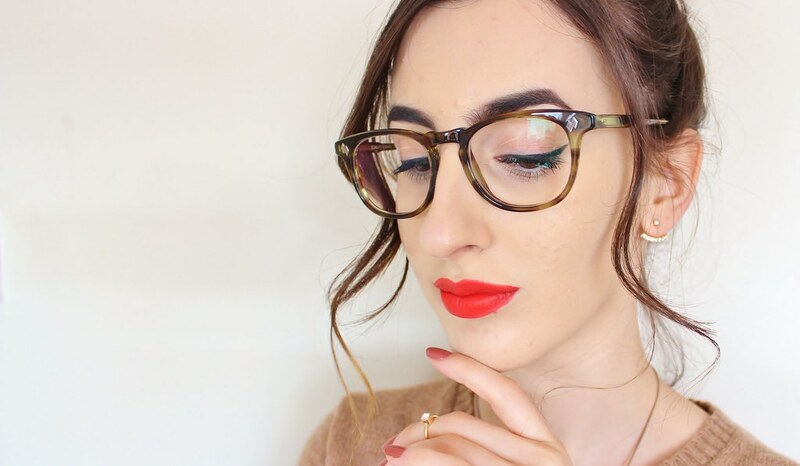 I was instantly drawn in by these frames as I love vintage glasses frames. All of the, Scarlett of Soho range have a real retro element to them. What really stood out to me from our discussion was the brand's, at 'home try-on's' scheme. 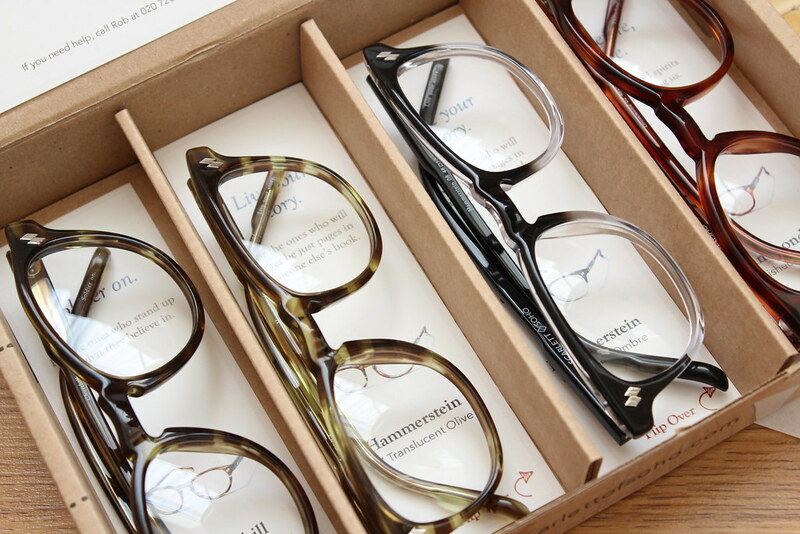 This essentially means that Scarlett of Soho send you, four of their frames (chosen by you) from their catalog straight to your door to try out all absolutely free. 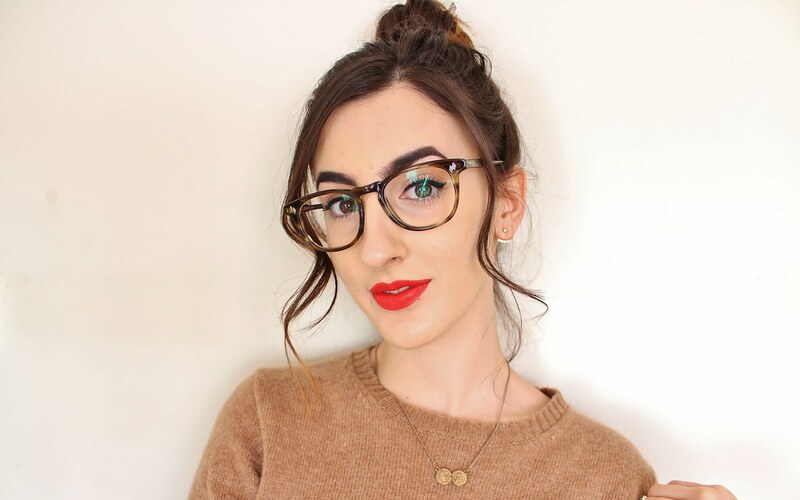 This way, you can decide which one is your favourite, as well as seeing how these look on, as it can obviously be risky when buying spectacles online. For my chosen Four I picked the, Churchill in Translucent Olive, Hammerstein in Translucent Olive and Crystal Ombre and Drummond in Burnished Amber. I found the decision really hard as I loved all of the styles but these are what I settled on. Scarlett of Soho allow you to keep these for a week before returning so this is what I did as I wanted to see how these all looked with different outfits and looks. 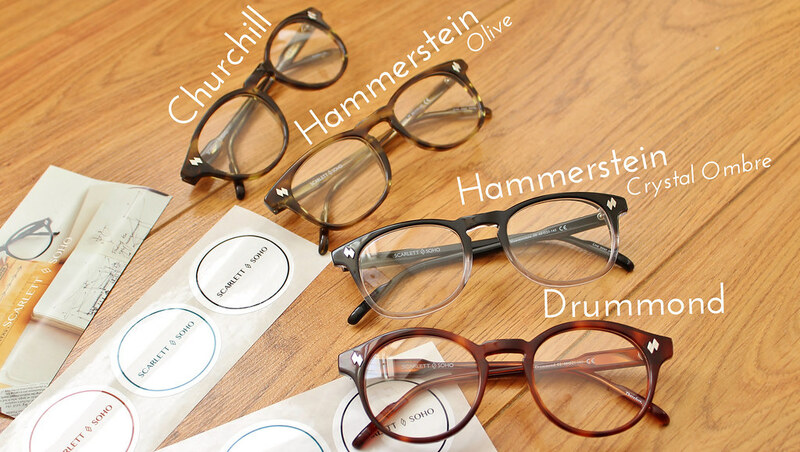 Eventually, I decided that my chosen pair would be the, Hammerstein in Transculent Olive as these suited my face shape the best and I wanted a change from Black framed lenses. 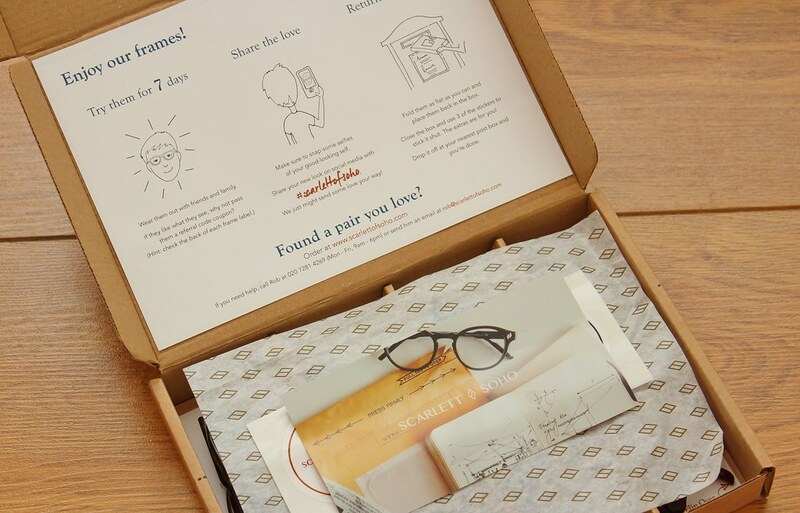 (The first month, is also completely free, so you can spread the cost of a single pair of glasses or multiple pairs). I think this is an amazing concept if you're like me and love to change up your style often, as the same pair of frames don't always go with every outfit! 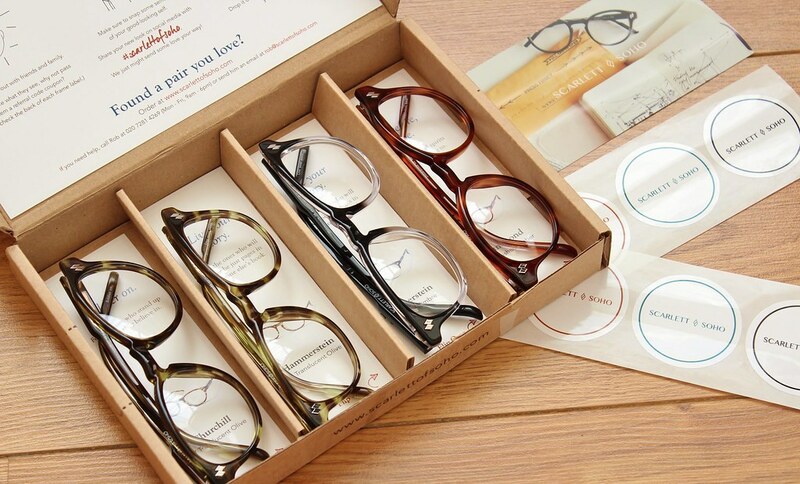 If you love these styles of frames, my readers can use the discount code: KATIEZ2015 on the, Scarlett of Soho website in order to qualify for a two months free subscription. Go get your discount now girlies!